Looking at a proposals I can see the "edited by" section which a former employee edited the proposal has a shadow diamond attached to the name. 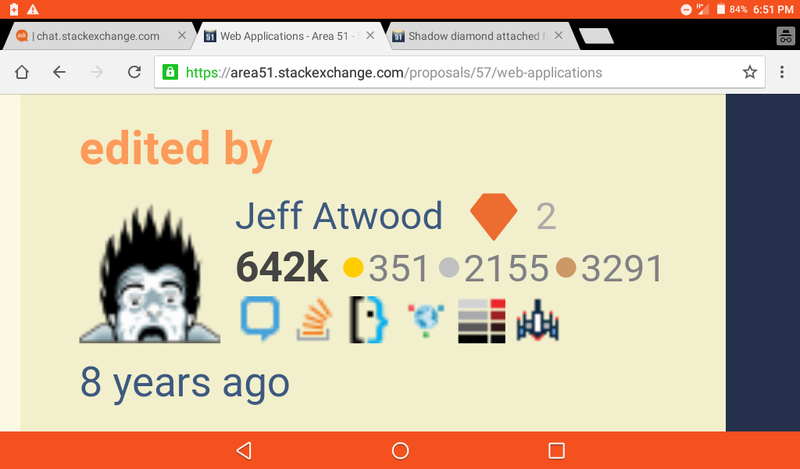 This guy was an employee, but left the company and all his adminship/modship on every site was removed, so it shouldn't have a diamond there on the name. This can be replicated with different users, but not sure if it's limited to former employees.